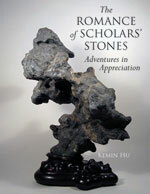 One of the foremost experts on Chinese scholars’ stones discusses lessons learned over a lifetime of collecting and researching, revealing a depth and complexity of stone appreciation not touched upon in other publications. 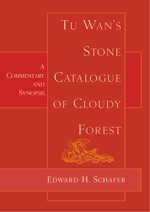 These perspectives are ultimately employed in the investigation of a stone possibly first collected in 120 BCE, during the reign of Emperor Wu of the Han dynasty. 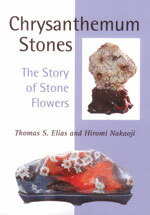 The first comprehensive work in English on the rare and highly prized chrysanthemum stones, including the geology of their formation, the history of their appreciation, and their various types, forms, and places of origin. Introduces over 50 stone types, including mineral compositions, colors, hardness, where they are quarried, and the qualities for which they are valued, written for the novice or experienced stone connoisseur. 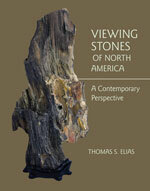 A fabulous array of beautiful and unusual stones from a diverse group of collectors, demonstrating not only the richness and diversity of the continent's geological resources but also the vibrancy and enthusiasm of the North American collecting community, by the former director of the U.S. National Arboretum and founder of the Viewing Stone Association of North America. 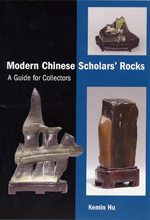 This 12th-century catalogue is the first whole work in Chinese literature devoted to the subject of stones as objects of aesthetic merit.